Austinmer artist Bob McRae has been commissioned by the Submarine Institute of Australia to create an artwork which has found its home at the National Maritime Museum. It all started 103 years ago when Australian submarine the AE1 disappeared in Papua New Guinea. Last December, after a century of searching, the submarine was discovered near the Duke of York Islands, marking the final resting place of the 35 submariners on board. Bob is a renown Naval artist. You can read more about Bob and his works HERE. 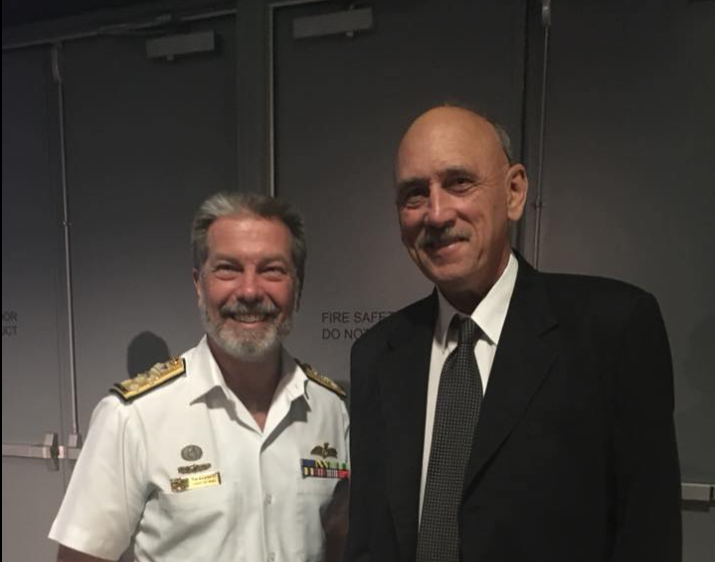 Now, his impression of the event has been unveiled at an offical ceremony at the National Maritime Museum with special guest Vice Admiral Timothy Barrett, and Rear Admiral Peter Briggs. 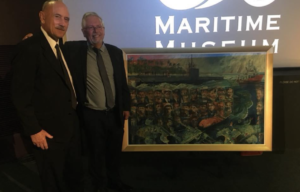 The painting is a corporate donation from the SIA to the National Maritime Museum and will remain in their collection.